R/GA is a web design firm that offers a variety tools at its disposal. A website's commerce-related efforts are built to enhance the shopper's experience. 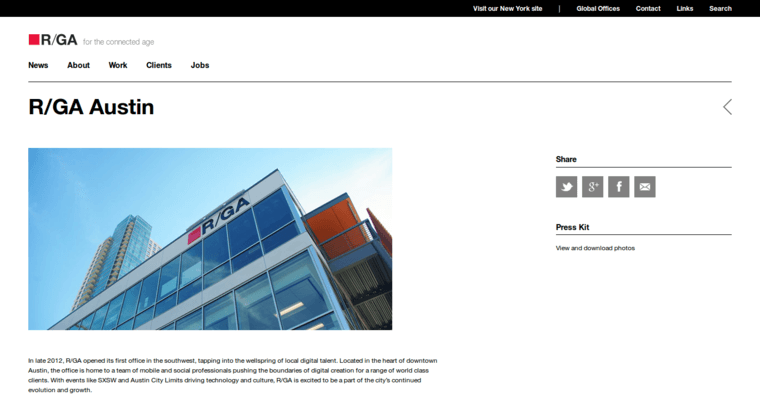 R/GA keeps up with upcoming trends, and they analyze brand position, competitor marketing, and consumer insights. 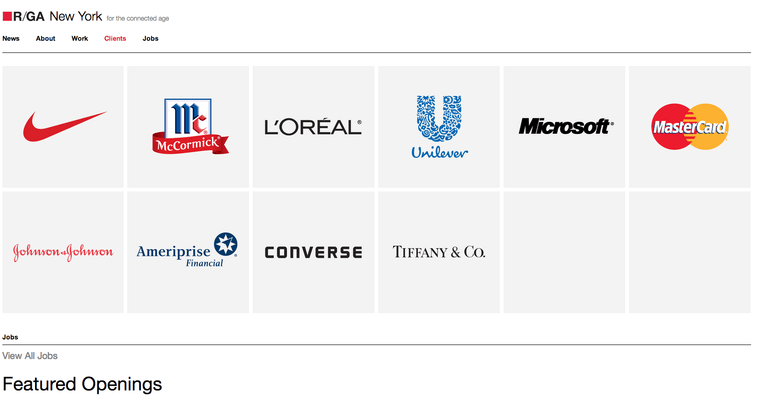 They have a experience in a number of industries, including apparel, CPG, electronics, entertainment, fashion & beauty, and finance. To transform a business, they implement brand development, campaigns, commerce, and working on a content studio. Their main office is based in New York. Interested clients can reach out to Dave Edwards, if they are interested in business development. Daniel Diez handles Press & Media Relations.